Watch the video of the May 27, 2012 celebration's grand finale and a slide show of visitors' photos! Join the Parks Conservancy to support Bridge education programs and conservation in the parks. 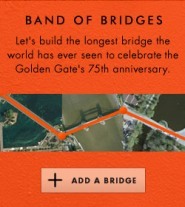 Hear rare recordings, repaint the Bridge, get visitor tips, and more on our free app. Available for iPhone and Android. 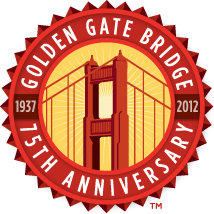 Gear up with international orange caps, shirts, and more in our online store or at the new Golden Gate Bridge Pavilion. We extend our deep appreciation to the many individuals and organizations that celebrated the 75th anniversary with a gift to the Joseph Strauss Legacy Circle, to our generous corporate and media sponsors, and to the Steering and Host Committees for their dedication and support. 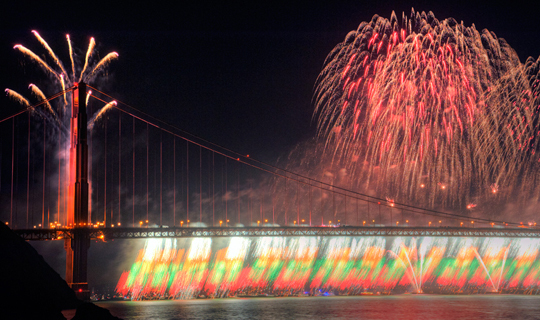 Subscribe for news of the latest events from the Golden Gate National Parks Conservancy.